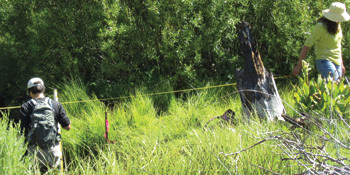 CRAM is a cost-effective and scientifically defensible rapid assessment method for monitoring the conditions of wetlands throughout California. It is designed for assessing ambient conditions within watersheds, regions, and throughout the State. It can also be used to assess the performance of compensatory mitigation projects and restoration projects. What is Rapid? 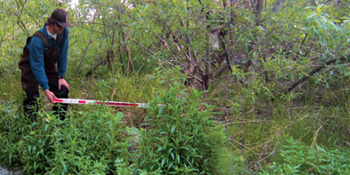 CRAM requires a team of 2-3 trained practitioners less than 3 hours to assess a representative wetland area. The development, training and implementation of the California Rapid Assessment Method is overseen by a committee composed of federal, state and local agency personnel and scientists, NGO scientists and consultants. Who is qualified to use CRAM? The first step in getting started using CRAM is signing up for a CRAM training. Classes are held periodically in locations across the state, and cover the CRAM method, use of software and/or paper forms for fieldwork, and use of the CRAM website for results uploading and display. Wetland types currently included in the trainings are riverine, estuarine, and vernal pools. Wetland types that will be added soon include depressional, wet meadows, and bar-built estuaries. Large amounts of public and private funds are being invested in policies, programs, and projects to protect, restore, create, enhance, and manage wetlands and riparian habitats in California. Most of these investments have not been evaluated, however, because the ambient conditions of the habitats have not been monitored, or the monitoring methods have been inconsistent, and there is little assurance of data quality. Furthermore, the results of monitoring are not readily available to analysts and decision makers. CRAM is an approach that promises to provide consistent, scientifically defensible, affordable information about the conditions of wetlands and riparian habitats throughout California. This approach and procedure has been approved by the California Water Quality Monitoring Council and subject to the peer review process of the California State Water Resources Control Board and California Environmental Protection Agency. The table below lists the current status of development for each CRAM module. At this time, only the estuarine and riverine modules have been validated. 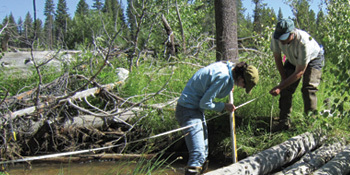 Because new modules may be developed by different teams through different funding sources, it is important that each new module of CRAM be developed with oversight and guidance provided by the statewide Level 2 Committee of the California Wetland Monitoring Workgroup (CWMW), which is charged with the oversight of Level 2 assessments, including CRAM. The CWMW functions as a subcommittee of the California Water Quality Monitoring Council. EcoAtlas provides landscape context to aquatic resource extent and condition information. The Landscape Profile tool generates dynamic summaries of aquatic resource information. The California Wetland Monitoring Workgroup works to improve monitoring and assessment of wetland and riparian resources through statewide monitoring and increased cooperation.